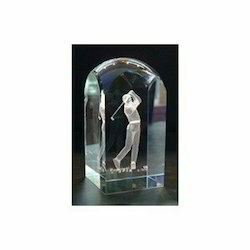 Our product range includes a wide range of crystal memento, crystal trophy, golf ball crystal trophy, crystal plaque, metal star trophy and crystal pyramid. We are enlisted amongst the recognized name in the industry, offering an exceptional array of Crystal Memento. Our product range is the perfect option to honor the individual in gaining achievement in his or her field. All these mementos are designed according to the standards of the entity by using superior machines and the best quality crystal. Available in numerous sizes and shapes, these mementos are demanded in the market. Our chess boards are perfect for numerous award functions. We are an accredited manufacturer, exporter, wholesaler, trader, importer & supplier of high quality Crystal Trophy. This crystal trophy is aesthetically designed by our affluent craftsmen utilizing excellent quality material as per the contemporary trend of market. 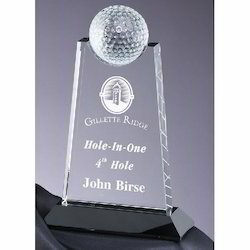 The offered crystal trophy is made accessible in various designs and sizes to suit demands of customers. Also, we are giving this crystal trophy to customers within a given time frame at reasonable price. We are recognized in the industry for offering an extensive range of Crystal Memento. Designed with premium quality raw material by our skilled professionals, this memento is in line with the set industry norms. Offered memento is demanded for rewarding the winners of different events like dance competition, award ceremonies, sports events and many more. Customers can avail this memento from us at affordable rates. 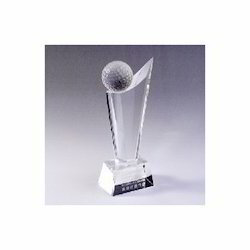 We provide Delicate Golf Achiever Crystal Trophy . Perfect for school, sports & corporate award functions. 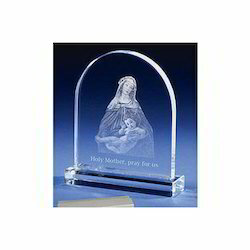 Our company is highly esteemed in offering Crystal Plaque to the clients. This product is available in various sizes and designs to meet the diverse requirements of valuable clients. Offered range is accessible in different appealing plans and dynamic colors. Crystal Plaque is known for characteristics of crack resistance, light in weight, fascinating look and better toughness. Offered range is available to clients in various technical specifications to fulfill their various needs by the experts. 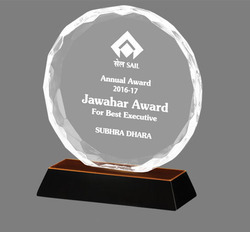 This product is presented to the awardees for appreciating their high standard level of work. 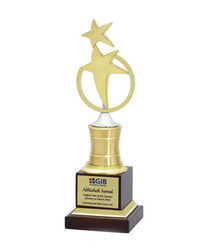 We are the most consistent Manufacturer, Exporter, Wholesaler, Trader, Importer, and Supplier firm of best quality Corporate and Promotional Products like Metal Star Trophy. Our offered products are well acclaimed for its elegant design, appealing look. 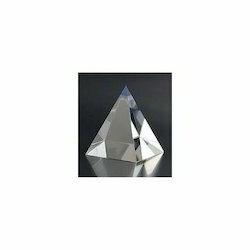 Our company has set benchmark in offering Crystal Pyramid to the clients. 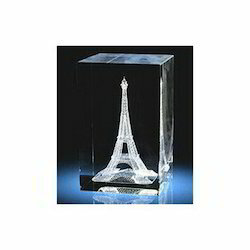 We are leading manufacturer and supplier of Acrylic Memento. We facilitate our clients' best variety of Wooden Memento which is manufactured using superior ingredients. These products are supplied to various corporate and business sectors. These are best in quality, high-in-demand and available in various designs. We avail all these precious products at inexpensive ranges in best packing. These are also provided in customized designs on clients demands. 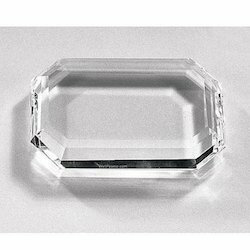 We are assisted by a team of highly expert and trained professional who holds huge business knowledge in providing an excellent quality variety of Crystal Paper Weight to our clients. Manufactured by using high-tech technology and machines, these are widely admired by our respected customers. In addition to this, our provided range is available in the market as per the specifications provided by our valued patrons.